Come join the Florida Fish and Wildlife Conservation Commission (FWC) at the Chinsegut Conservation Center in Brooksville for a weeklong celebration dedicated to wildlife. It’s fun, fascinating and enjoyable for everyone in the family. 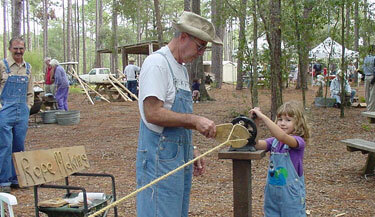 Festivities kick off on March 19, with a day camp that runs through March 22 for kids ages 8-12. On March 23, a dinner and special presentation by pre-eminent swallow-tailed kite expert Ken Meyer will whet the appetite of any wildlife lover. The grand finale event of the trilogy is the Chinsegut Birding and Wildlife Festival on March 24, featuring wildlife hikes and presentations on a variety of subjects, including birds, bird-watching basics, reptiles, K-9 demonstrations, native plants and butterflies, as well as items for sale, including food and drinks. This year’s festival will also feature Arts in the Woods. The four-day kids camp features a Wildlife Scientific Investigations program (a CSI-type of activity), junior birding program, outdoor survival skills, hiking and outdoor cooking. Day camp activities start at 9 a.m. and conclude at 3 p.m. Cost for the day camp is only $25 per child. Campers must supply their own lunch and drinks. On March 23, from 6:30 to 8 p.m., swallow-tailed kite expert Ken Meyer will detail the incredible journey that swallow-tailed kites make from Florida, across the Gulf to South America and back again. The cost for the evening program, which includes dinner, is $20 per person or $35 per couple. The catered dinner is by Papa Joe’s. RSVP for the dinner by contacting the Chinsegut Conservation Center at 352-754-6722. Maximum seating is 100 for the Friday night event, so get your reservations in early. The Chinsegut Birding and Wildlife Festival wraps up the week that Saturday. All events are free of charge. 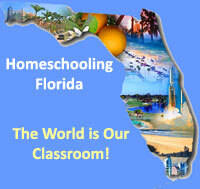 Featured are numerous scheduled hikes and presentations about Florida scrub jays, gopher tortoises, red-cockaded woodpeckers, burrowing owls, butterflies, Art in the Woods, birding, nature photography, landscaping for wildlife, plants and phenology – the study of regularly recurring biological phenomena influenced by climatic conditions – and more. There are fun activities planned for kids, including the junior birder program, building a bird feeder and the “Animal Olympics.” Vendors will be on hand, providing food and drink and wildlife-related items for sale. Treat yourself to a mini-vacation by attending Friday night’s gala and Saturday’s celebratory events. Mention the Chinsegut Birding and Wildlife Festival at the Hampton Inn or Quality Inn and get a reduced hotel rate. Both hotels are at the intersection of Interstate 75 and State Road 50, a scant 20-minute drive from the conservation center. Chinsegut Conservation Center is located just north of Brooksville off U.S. 41, at 23212 Lake Lindsey Road. From I-75, take State Road 50 west to Brooksville, go north on U.S. 41 seven miles to County Road 476 and then go west one mile to the entrance gate on the left. If you would like more information about Chinsegut Conservation Center and other programs it hosts, visit MyFWC.com/Chinsegut.